Here is a video of Kilmersdon in service on the 30th August. Steam services will operate on Thursday's through September 2018. 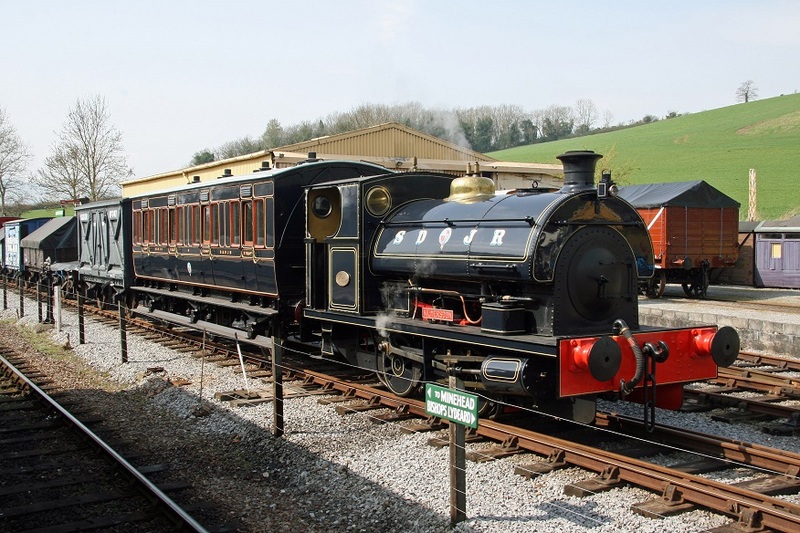 Kilmesrdon is a Peckett 0-4-0 steam engine built in 1929 and used at the Kilmersdon Colliery in North Somerset. She joins us on extended loan from the Somerset and Dorset Railway. In March 2017 we applied to the AIA for a grant to help restore William Murdoch to full working order. In August we received a letter from them informing us they have awarded us £14,000 towards the cost of restoring William Murdoch. William Murdoch is a 0-4-0 steam engine built in 1949 by Peckett and Sons of Bristol – one of the finest examples of this little work-horse still operating in England is now based in Helston on lease from the GWR Preservation Group. The priority is for a secure engine shed and any donations for this project would be much appreciated. Donate to "Steam comes to Helston"
William Murdoch is a Peckett and Sons 0-4-0ST No. 2100 shunter built in 1949.